Alex Chilton (Memphis, Tennessee, December 28, 1950 ? New Orleans, Louisiana, March 17, 2010) was an American songwriter, guitarist, singer and producer best known for his work with the pop-music bands The Box Tops and Big Star. Chilton's early commercial sales success in the 1960s as a teen vocalist for The Box Tops was not repeated in later years with Big Star and in his indie music solo career on small labels like Last Call Records, New Rose, Razor and Tie, Bar/None, and others, but he did draw a loyal following in the indie and alternative music fields. Chilton said in the September 1994 issue of Guitar Player that he considers himself a "musical performer, not a songwriter" and that some of his songs sound only "half-baked" to him. Nonetheless, his compositions have been performed by a number of artists, including Teenage Fanclub, This Mortal Coil, The Bangles, Wilco, Graham Coxon, Garbage, Tom Bradbury, Son Volt, Counting Crows, Elliott Smith, Jeff Buckley, Superdrag, Evan Dando, Cat Power, Yo La Tengo, Placebo, Xiu Xiu, and His Name Is Alive. The Replacements wrote the song Alex Chilton in his honor on their 1987 Pleased to Meet Me album, produced by Jim Dickinson in Memphis. 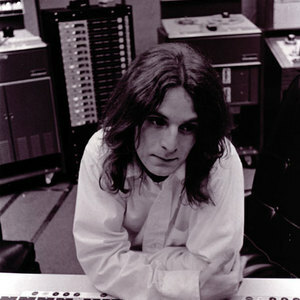 On March 17, 2010, Alex Chilton died of an apparent heart attack in a hospital in New Orleans. He was 59.